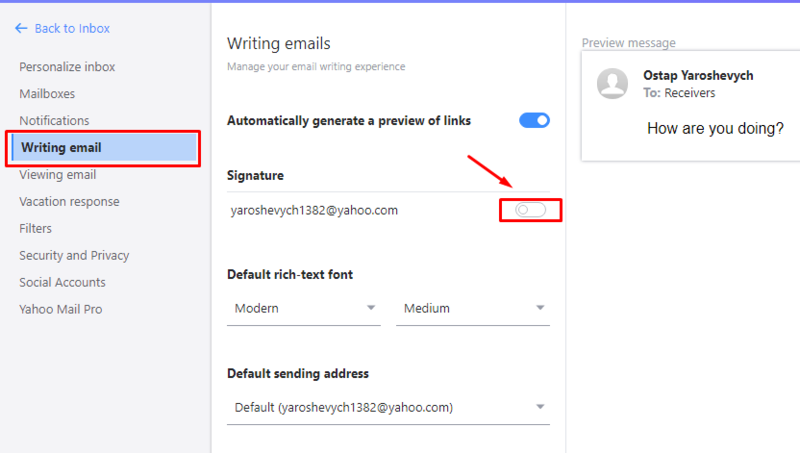 Create your email signature on NEWOLDSTAMP.com and follow these simple steps to install it in Yahoo. Select the Other in the list of email clients. Open Yahoo and go to Settings → More Settings. 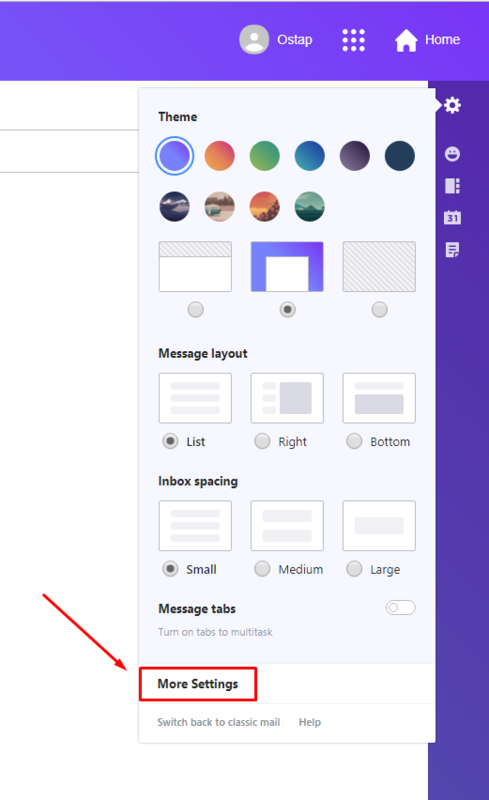 Choose Writing Email in the left menu and turn the signature ON. Paste the signature into the edit box (Ctrl + V or Command + V) and go back to your Inbox. Compose a new message to see and test your new email signature. Congratulations! 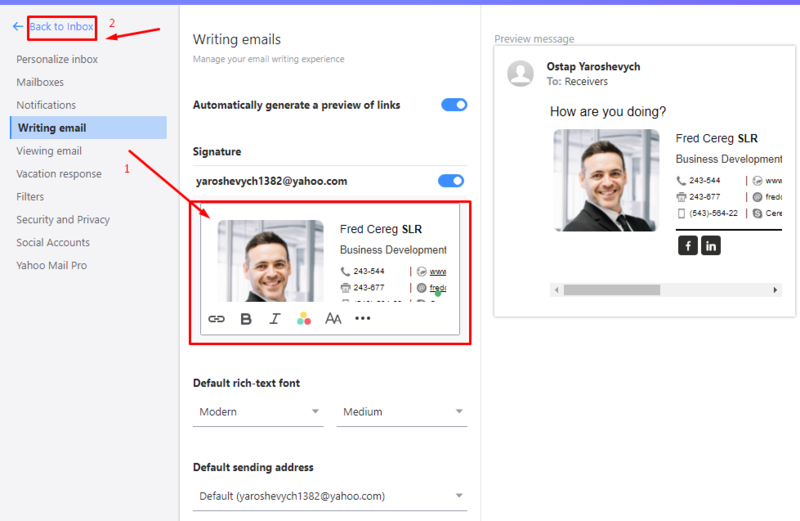 Now you will see your new signature in every email you send with Yahoo.